Announce your Graduation with this modern style, watercolor ink accented, photoshop template. 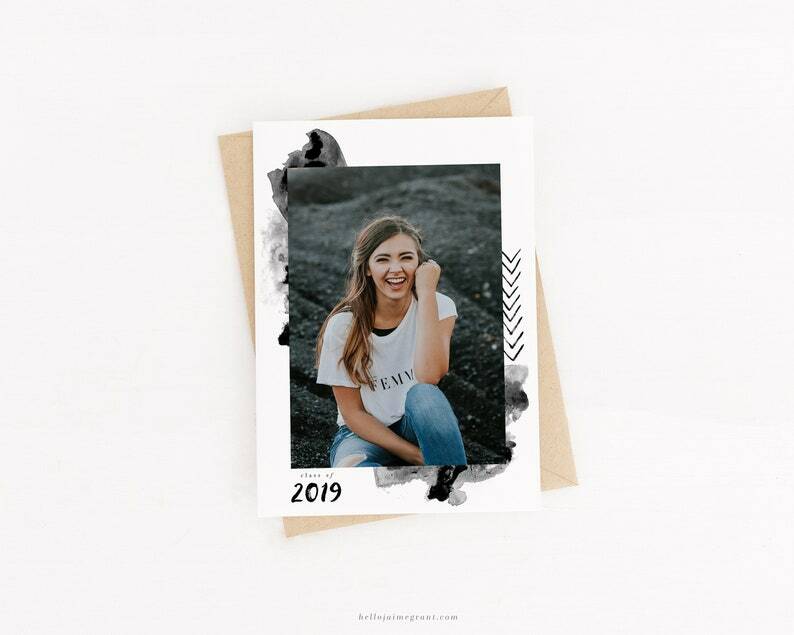 This template is perfect for Senior portrait photographers to upsell graduation cards as part of their portrait packages. Template features a front and back design with easy to navigate layers. The template is 5"x7" sized. All text, except for graduation year which is a hand lettered object, is editable. Included in the template are 2020, 2021, 2022, and 2023 graduation years so you can use this template for years to come.